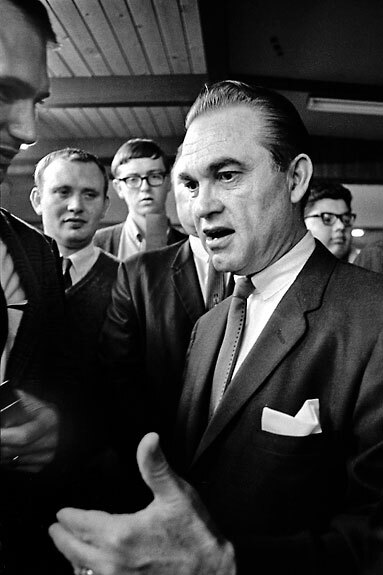 As part of former Alabama Governor George Wallace’s bid for the U.S. Presidency in 1968, he attempted to get on the California ballot as the candidate of the recently formed American Independent Party. 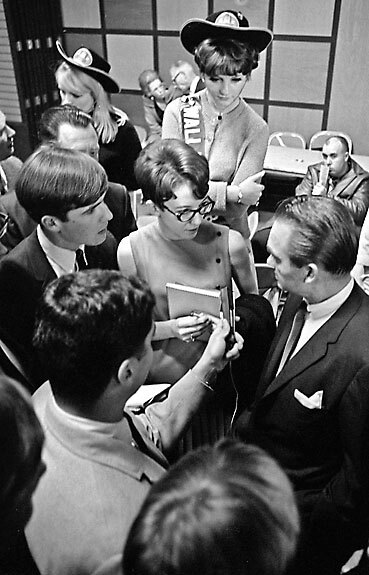 His campaign included an appearance in Modesto on November 22, 1967. 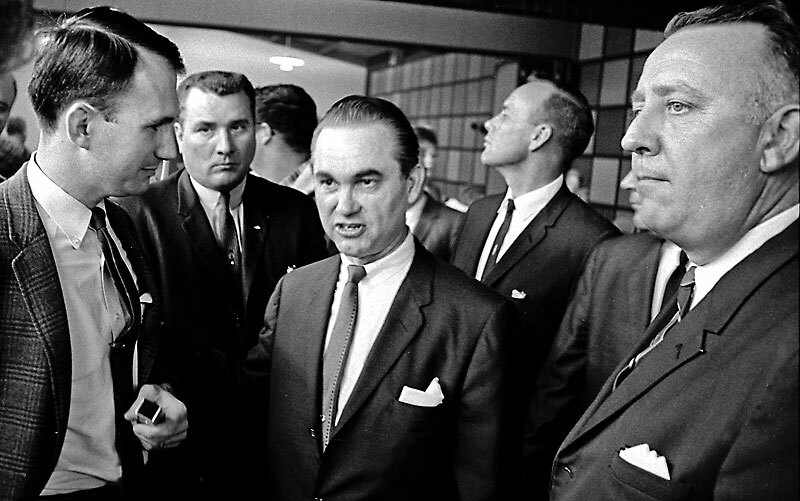 With this blog I will add George Wallace to my PhotoShelter Famous Faces folder. 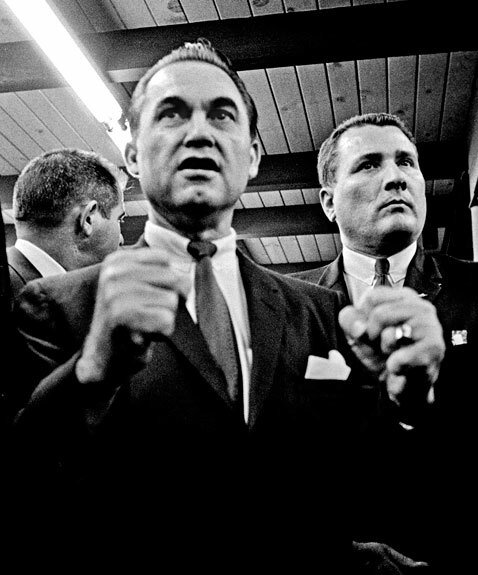 In 1963, George Wallace was the guy who literally and symbolically blocked the schoolhouse door in adamant opposition to desegregation. It took federal marshals and the Deputy Attorney General of the United States to get him to move aside. I learned at an early age my family was opposed to segregation and all other forms of discrimination, but I wanted to make an image that showed the true character of Wallace without my personal feelings clouding the issue. The minute Wallace started saying things like “the government needs to quit pussyfooting around” and referring to “pointy-headed intellectuals” my camera started clicking. Here are the results. The Governor’s entourage was 25 or so people. 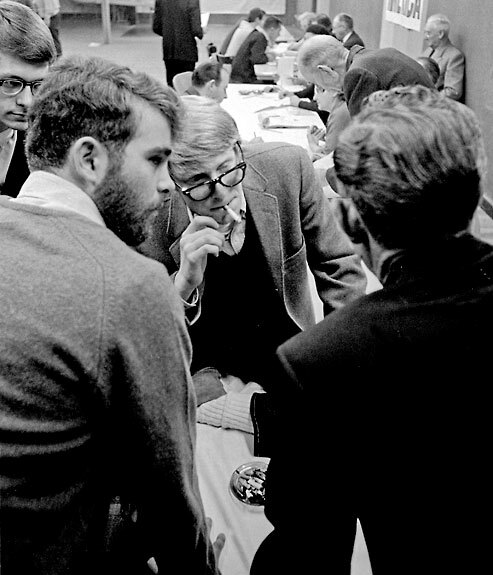 Thirteen of his staff were Alabama State Police and the others were campaign workers including several lawyers and one judge. The news conference was held just before the public meet and greet at the Sandpiper Steak House on McHenry Ave. There wasn’t any TV coverage. The only other media present were the Modesto Junior College communications department students. They had lots of questions for Wallace but he responded with one-liners and moved through the crowd with his state troopers surrounding him. 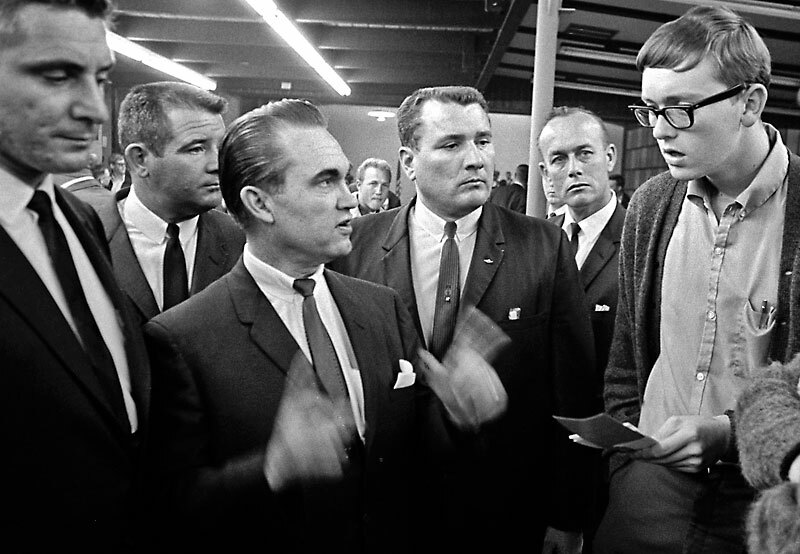 Just before I left, my eye caught some friends of mine who had more liberal leanings than Wallace. They told me they were there to listen and learn. In the middle with the cigarette in his mouth is Alan Arnopole, great singer, guitarist, and musical talent. 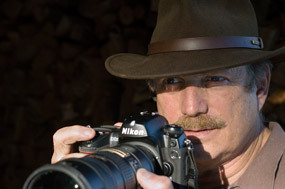 I mention him now because later I will do a blog on his great band California Zephyr.